This month we have an interesting Puzzle-Platformer developed by Silicon & Synapse (which would become Blizzard Entertainment) and published by Interplay, back in 1992-1993. In “The Lost Vikings” the player needs to guide 3 Vikings that have been abducted by aliens, so that they can eventually return home in their correct time period. Each Lost Viking has different skills. Erik the Swift can reach where the others can’t and is arguably the most useful given that the game is a platformer (he is the only one that runs, jumps, and can also do a running charge if there is enough space). Baleog the Fierce has offensive capabilities and can easily dispatch most enemies (with his sword or bow with unlimited arrows). Olaf the Stout provides greatly needed support (can use shield to block, or placing it above his head, to support the others or to slow down falling to survive large falls and/or glide farther). Each can also carry a few items, such as health-restoring food, bombs, or keys. Adding to the charismatic character designs, between levels there are some often funny remarks which further exposes the Vikings’ individual personalities. The clever level design forces the player to combine the different skills from each Viking in order to progress. The player can only control one Viking at a time and given that they will stay idle otherwise, they can easily die if left somewhere dangerous. Although you can continue a level without one of them, even if you reach the exit you only succeed if you get all 3 there. The game also lets you use infinite retries and has a simple password system that makes it easy to proceed from wherever it was left off previously. The stages themselves are varied, starting in the alien abductors’ ship and then having the Vikings continue lost through different time periods. The different scenarios have their own enemies, traps and occasional gimmicks. Some of the versions have co-op, letting players control 2 of the Vikings simultaneously. Although this sounds appealing given the nature of the game, it is actually not well implemented as the camera follows only one of the players, without any kind of split-screen gameplay. The game was probably designed single-player with this rudimentary co-op added on top. Silicon & Synapse started their careers by making ports of other games, and perhaps due to this they had their own game ported to a variety of versions. It released for the major systems at the time: DOS, Amiga, Mega Drive/Genesis and the SNES (which was probably the original version). It was also more recently ported to the GBA. There are 37 levels in most versions, the Genesis having 41. With 4 more levels (and some extra cutscenes at the start of a new setting) the Genesis version is possibly the best choice, particularly with 6-button controllers – although the graphics and music may be arguably better in other versions, and control with the 3 button pad may be a bit clunky. The game is worth playing in any version though, with the weakest arguably being the GBA version with issues due to the lack of buttons, lower quality sound and the smaller screen. The game was well received at the time and many players would consider it to be a classic. It received a sequel, Lost Vikings 2: Norse by Norsewest (the naming depends a bit on the region and system). The sequel was the last game by Blizzard that didn’t belong to their Warcraft, Diablo or Starcraft IPs. The vikings appear in several cameos, such as Rock n’ Roll racing where Olaf was a hidden playable character, or World of Warcraft where their likeness and names are used for NPCs. In a Starcraft II minigame, there is also a thinly veiled reference to a “Lost Viking” (the Viking being a Terran aerial unit in the Starcraft setting). Lost Vikings was reportedly inspired by Lemmings, even though their styles are very different (this may just be a rumor). Likewise, when playing more modern puzzle platformers, particularly Trine (which also features 3 different characters), one can only wonder if the developers have played and have been at all directly inspired by the Silicon and Synapse classic. 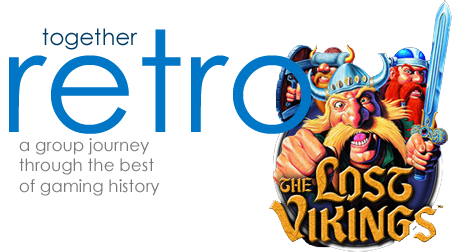 Please join us on the Lost Vikings forum thread for further discussion. I think Blizzard just released it free. No idea if it’s on steam etc. Great game. Oh, found it – it’s on their battle.net site.